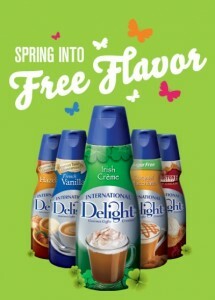 Hurry on over and “Like” International Delight on Facebook to enter the Spring Into FREE Flavor Sweepstakes. The first 75,000 entries will get a coupon for a FREE International Delight flavor of your choice. You’ll also be entered to win a one year supply of International Delight creamer. Good luck! While you’re there, be sure to join more than 113,719 others and become a fan of Deal Seeking Mom. You’ll find more conversation, additional deals and a peek at the freebies I receive in the mail!